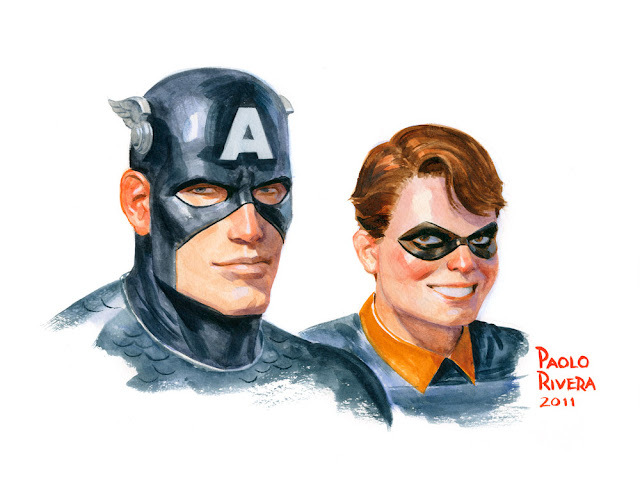 Captain America and Bucky. 2011. Watercolor on paper, 12 × 9″. All right. I am officially taking a blog break for the rest of the year... for the most part. I'll be back on the 21st to remind everyone about Daredevil #7. I'm currently in my "method acting" phase, shying away from sunlight in order to identify with the Mole Man. In the meantime, I'll leave you with a commission from Megacon (that I finished at home). Enjoy the last vestiges of 2011!